Hodsdon Kokeshi Dolls, from tree to finished doll. We entered this path with wanting to work together, share in the Japanese heritage and share our story. We believe that There is a need and always room for traditional folk art in today's modern times, it creates a more inspired society through art , history ,education and craftsmanship. 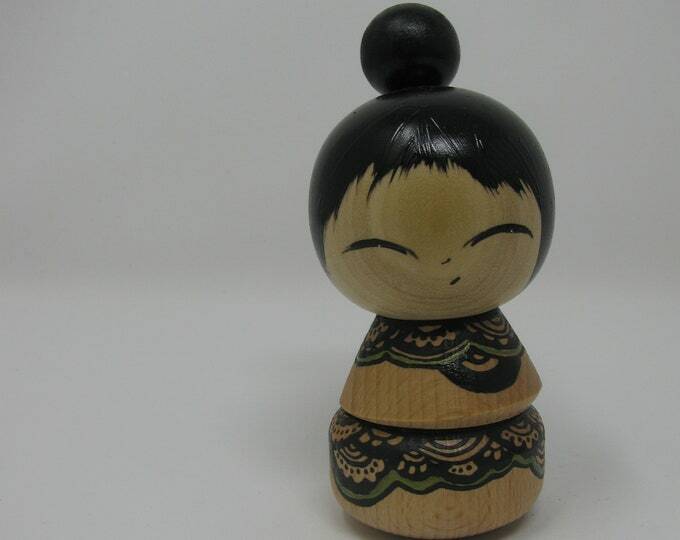 For us there are so many efforts to sustain and support wood art and Kokeshi tradition and culture. We love to look for the natural movement and details of the wood. We are able to use tiny burls and limbs that would otherwise be discarded. 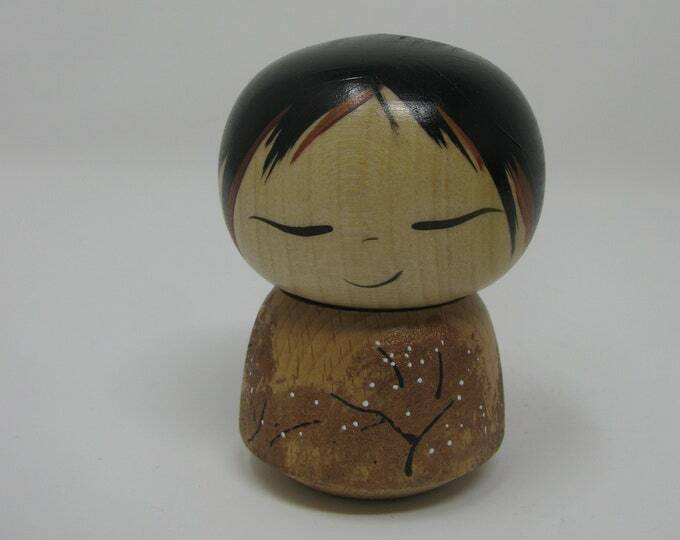 Utilizing these natural characteristics each kokeshi develops it’s own spirit and personality. When people look into the faces and find a connection, we have succeeded in bringing out the spirit of the wood and have given it personality. Lisa Holt-Hodsdon is a Japanese-American artist who specializes in painting and design. Inspiration from years of travel and influences from American and Japanese cultures, have helped her grow and evolve as an artist. I used to study the eyes,look at the intricacies of the kimono and painting. They all had such different expressions, I was instantly in love. Now having fun co-creating them with Jacob, we get to play with them all. For me also, bringing my Japanese Heritage into our daily lives means more to me than I can ever express in words. That our combined influences and knowledge constantly elevate and compliment our finished work . They really do bring a sense of peace and prosperity to our lives, as they will for you. Jacob Hodsdon has been wood turning and carving for many years and draws inspiration from the natural beauty of wood. The goal is to find, balance between the woods natural exterior and its refined inner beauty, When turning Kokeshi. "Growing up in a beautiful second growth forest, my best friends were the animals and trees. As an adult this connection to the forest pushed my work in the direction of wood art. Working on the lathe and carving became a love of mine. 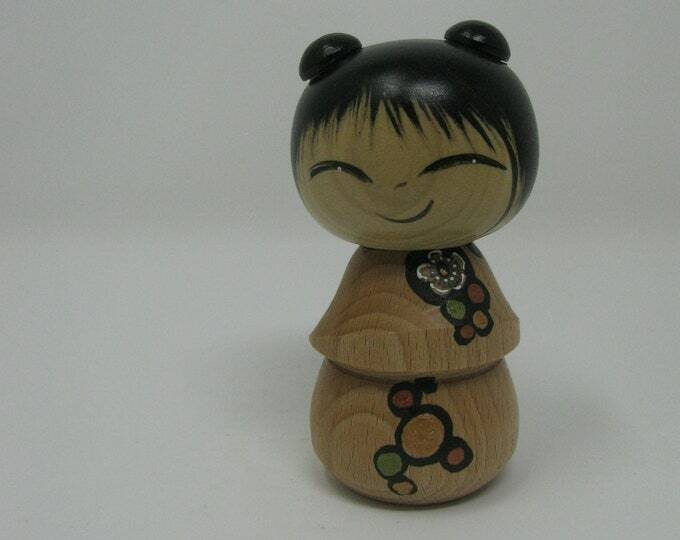 In creating our own collection of Kokeshi we've found a combined art that we love, we love making together and could not do with out each other. Kokeshi have become one of the many great blessing of our lives, they always bring us happiness and so often bring a smile to other people's faces.